Even writing the title of this post made me feel so guilty! When I first had Rosie, I made the choice to throw myself in to being her Mummy, by pretty much forgetting anything else I did previous to giving birth. I barely got my nails done, my hair done etc. I didn’t nap anymore, I didn’t blog anymore, I didn’t go out on my own anymore. Everything I did was with Rosie, or for Rosie. At the time it didn’t bother me in the slightest, this was my new role and I was embracing it and loving it, even though I was very sleep deprived and there were tough days. My days suddenly consisted of feeding, changing and playing with Rosie, and when I wasn’t doing that I was trying to clean the house and put the washer on. I felt like I was this new person who didn’t really have a choice in the matter and because I had chose to have a baby I should now start baking pies and doing my ironing in bulk. Two things that just aren't me. Yes I absolutely love being a Mother and I don’t think any job can give you the gratification or satisfaction that being a Mum can. But sometimes you do need to take some time to be yourself and not Mum. It’s all about balance. In Rosie’s eyes I am Mama and only Mama. In my eyes, I am Hayley. A friend, girlfriend, bride to be, makeup enthusiast, professional cocktail sipper, occasional writer, over eater, and gym freak (lol ok jokes). All of these things I enjoy outside of being a Mum that I don’t get to do as much of anymore. Which is fine, but some days we do need a day off. A few weeks ago, Francesca booked me a spa day for my birthday and oh my god was I ready for it. I can’t remember the last time I’d had a day were I literally just took a step back and relaxed, without thinking of Rosie’s next meal or activity. 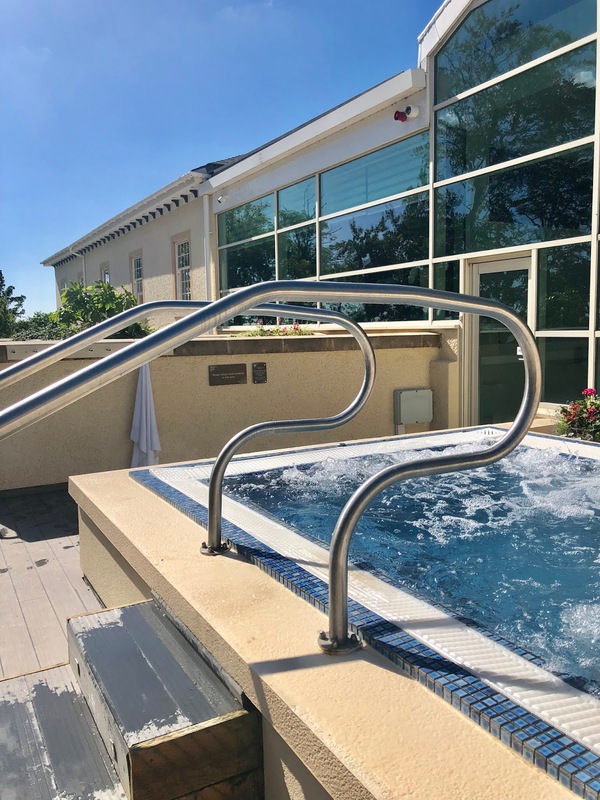 We went on the ‘Aqua Thermal Journey’ at Ribby Hall and it was so gorgeous. 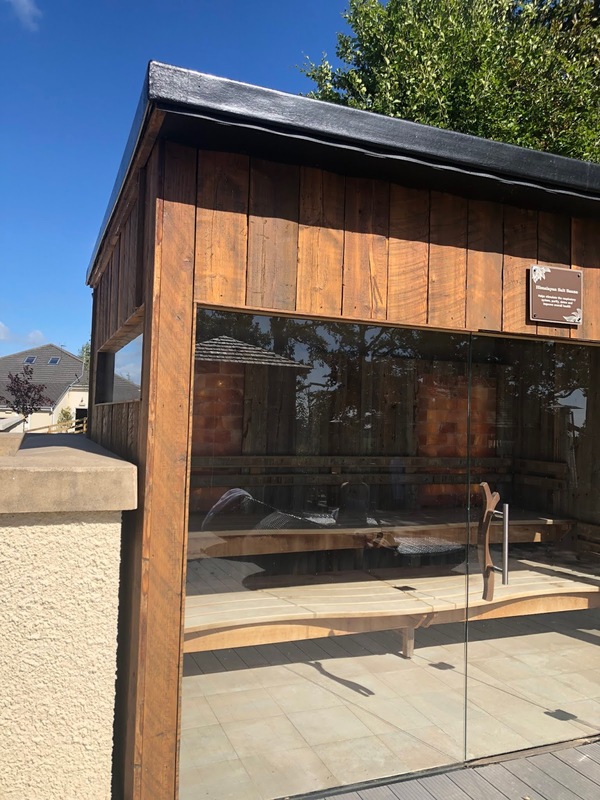 There were 4 steam rooms in total that heightened in temperature as you moved along them, and you ended up outside in the ‘Zen Garden’ which includes a hot tub, sauna and a bar. We took our time through the steam rooms, which apparently help to stimulate your muscles with the different temperatures, before getting a cocktail and sitting on the garden swings in our robes. We spent the day laughing, gossiping, wedding planning and everything in between. Of course I was home in time to bath and put Rosie in bed, but having those few hours of me time and knowing Rosie was in safe hands with her Nonna was much needed, and left me feeling recharged and excited to see her. I would never randomly just book myself a spa day so to be gifted one for my birthday was the loveliest thought and was very much appreciated. I feel like every new Mum finds their balance at different stages, some right away and some later on. I don’t even know if I’m classed as a new Mum anymore because Rosie is almost 18 months old, but I’m still going through every phase for the first time so I suppose in some ways I am. I have found my balance a little later than I would have liked but now that I know it’s okay to take help that’s offered I do and I’m always so excited to see Rosie after a few hours without her. I'm glad you're finding your balance! I can see how this can be so hard for new moms, I don't have a child of my own and had never thought of something like this! Fab post. Totally agree and if I have family I’d be the same too. It's so important to be yourself and a mommy! It's so important to find balance if not it's also so easy to burn yourself out, someone I know recently completely burned herself out because she was either always with her kids or at work and never had a moment for herself! Sounds like the best day - you deserve it!